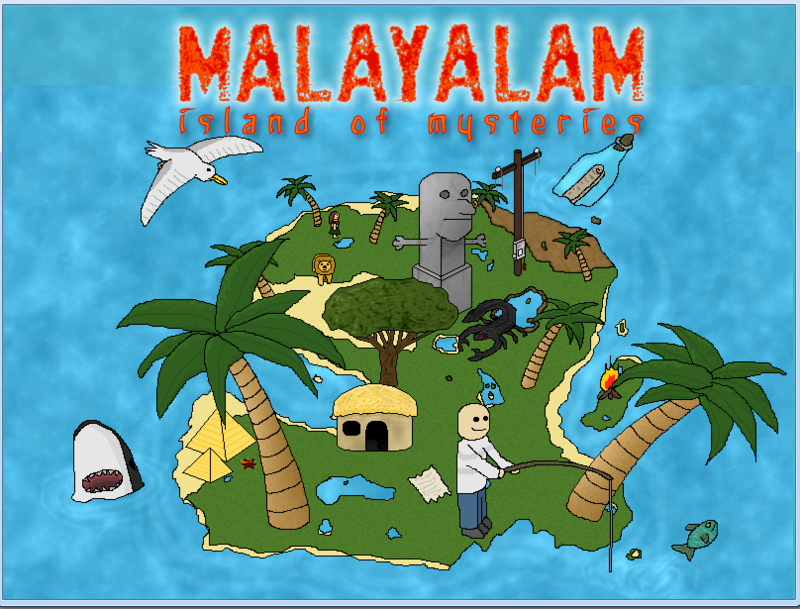 Malayalam – Island of Mysteries is a puzzle adventure, in which the player controls a character named Thomas Paine, a 34-year old fisherman, who has shipwrecked somewhere in the Eastern Indian Ocean. 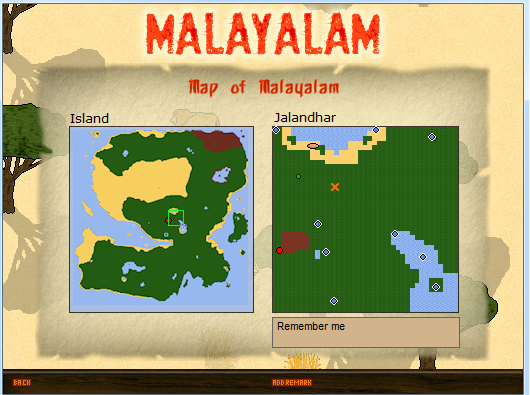 He drifts onto an unknown desert island named Malayalam, where the adventure takes place. The initial goal for the player is to stay alive and secure sufficient living conditions to enable further progress in the game. This involves finding food, hunting, constructing tools, building shelters, sleeping, and other everyday activities on the island. The second goal is about solving quests, which are often some sort of puzzle or riddle presented to the player in form of parchments and bottle posts. 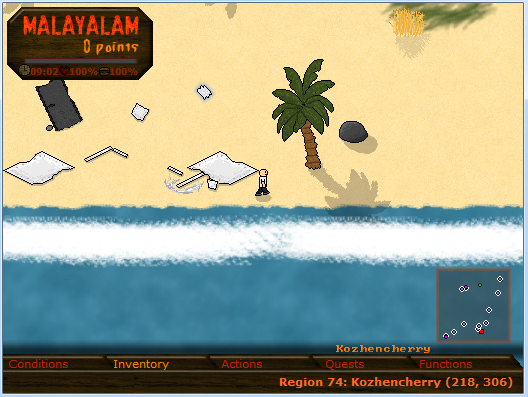 In these, the player needs to seek solutions using objects or information he has discovered on the island. 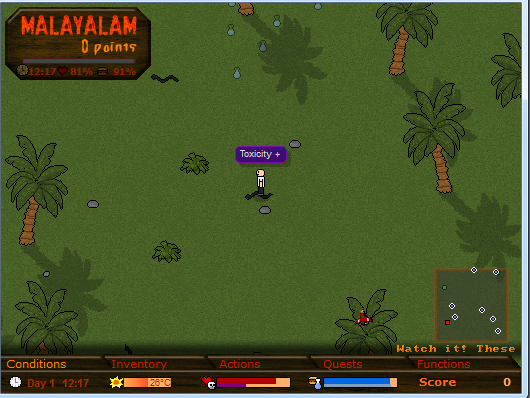 The ultimate goal is to solve all missions on the island and find a way off. The game awards Malayalam Points for each day survived and for each quest solved. 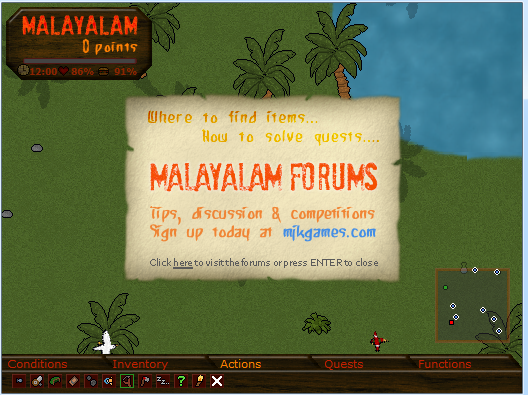 Players can compete with each other in an online high score table, which ranks every contender by the number of Malayalam Points earned. Originally the game was planned to be released as a paid project due to its vast complexity and development time. However, after discussions with the Testing team, MJK decided to release it as a freeware title. Due to issues with AAA lawyers based around another title similarity to their IP (Picross Mania) MJK Games has been completely shut and online services for the game became defunct. 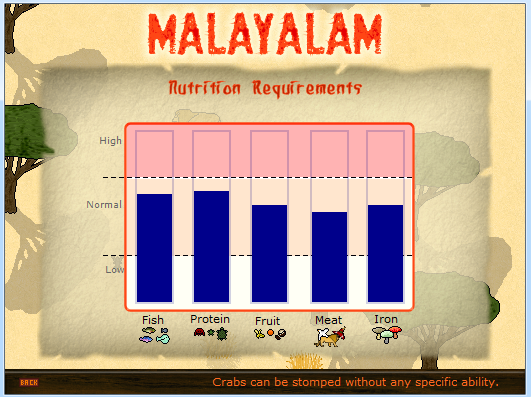 There are far more images available for Malayalam Island of Mysteries, but these are the ones we felt would be most useful to you. If you have specific requests, please do contact us!